4 Wines. 4 Wineries. Every 2 Months. Why My Niagara Wine Club? For only $115* you receive 4 bottles of quality wines from select wineries, as well as recipes and pairing suggestions. Shipping, handling and taxes for Ontario residents is included in this price! * Ontario residents only. For Canadian residents outside of Ontario, additional shipping charges may apply. Please contact us for details. How is My Niagara Wine Club different than other wine clubs? My Niagara Wine Club is your direct connection to a small group of award winning, family owned Niagara wineries. You are not limited to wines from just one winery. My Niagara Wine Club hand selects the wines from each winery, centered around a specially chosen theme for that time of the year. 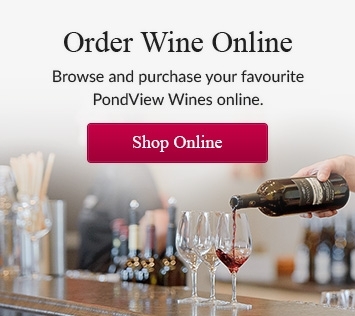 We are proud to represent Pondview Estate Winery, Sue-Ann Staff Estate Winery, Rancourt Winery and a guest winery every shipment. Every 2 months you will receive a total of 4 bottles of wine, from 4 different wineries. A gift from an always differing local business - We love to support local! Are there any VIP benefits? Yes! My Niagara Wine Club members receive exclusive discounts and offers from each of the participating wineries. Members have priority access to newly released wines, and are invited to special member-only events. Shipments are sent out the last week of the month prior to: October, December, February, April, June and August. We will communicate with you via email to keep you informed about the details, well in advance of each shipment. Someone over the age of 19 must be present at the time of delivery to sign for the package. If that's not possible we will contact you with alternate arrangements. Currently, we are able to ship to Canadian addresses only. My Niagara Wine Club delivers a quintessential Niagara wine region experience, featuring a great sampling of wonderful wines from quality family-owned Niagara wineries. This unique Wine Club allows you to enjoy a wide variety of the delicious wines our fine region has to offer, at a great price. With your membership, you will receive 4 different Niagara wines, every 2 months. Each shipment you receive will include 4 wines chosen to suit a special theme, based on the time of year. Celebrate the tastes of Niagara, sent directly to your door. My Niagara Wine Club is a great way to try new wines you might otherwise not get a chance to sample! Your credit card will be charged $115* at the time of each shipment. Shipments go out every 2 months. If you have any questions about joining our club of family-run wineries, please send us an email.